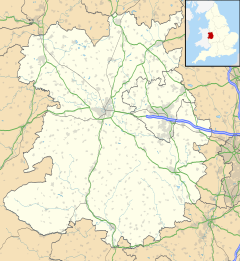 Kemberton is a village and civil parish in Shropshire, England. The population of the civil parish at the 2011 Census was 244. ^ "Civil Parish population 2011". Retrieved 4 April 2017. Wikimedia Commons has media related to Kemberton. This page was last edited on 30 June 2018, at 13:32 (UTC).